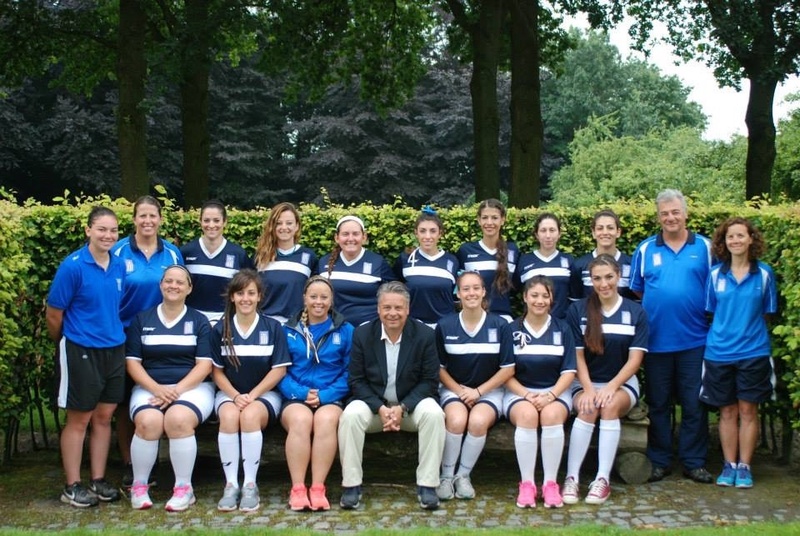 The Greek National Softball team completed its 2015 campaign at the 19th European Championship finishing 10th overall. 2015 marks the first time in eight years that Greece has competed with a National Team. The 12 members of the team battled opponents, weather and a challenging playing schedule with great success, turning in a 5-3 record before the tournament was suspended due to weather. Greece’s success was largely due to a strong battery, lead by pitchers Loren Stavrou and Artemis Traikapi and catcher Konstantina Panagiotou who caught every inning of the ESF Championship. Greece’s victories over Slovakia, Switzerland, Poland, Sweden and Slovakia propelled them to the 9th place – 11th place bracket that lead Greece into another matchup against Sweden, Greece was up 4-3 with a runner on second base and one out when play was suspended and later cancelled. Solid offensive performance by Stavrou who lead the team in batting average batting .522 for the tournament. Teammates Panagiotou, Traikapi, Ioanna Donta, Evaggelia Stefatou and Alexandra Papageorgaki all batting over .300 for the tournament. The offense scored 48 runs in 8 games and was only shut out twice. Earlier this spring the Women’s National Team won the gold medal in the 1st Balkan Championship held in Sofia, Bulgaria from April 23rd -26th, 2015. Following the Balkan Championships the team continued to train a few days a week until July when their training schedule increased to 5-6 days a week. Greek Softball Federation President, Kostis Liarommatis, initiated the surge to bring back the Women’s National Team in the fall of 2014. Other members of his staff are Head Coach Tina Kramos, Assistant Coach Charalampos “Babis” Trigonakis, Pitching Coach Marina Demore, Team Manager Denise Horafa and Team Assistant Chelsea Lisikatos. Team members include, Artemis Traikapi, Ioanna Donta, Alexandra Papageorgaki, Konstantina Panagiotou, Theodora Skarogianni, Iliana Kourea, Athina Pavlou, Nicole Kotsia, Dafni Emmanouil, Evaggelia Stefatou, Evaggelia Diamanti and Loren Stavrou.